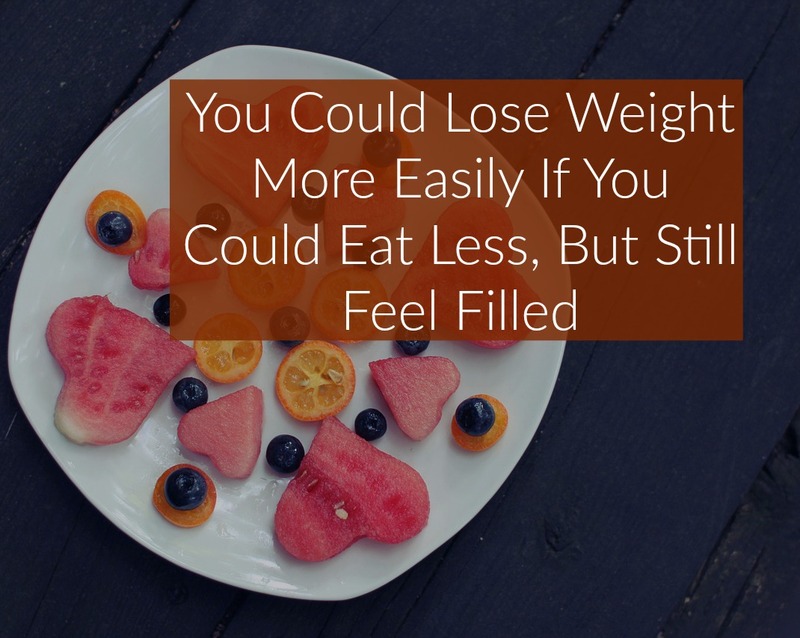 How To Lose Weight, Eat Less, But Still Feel Filled? How to drop weight (without exercise) eat less and feel full? Luckily it’s easy to trick the mind into accepting small portions without protest. Decades ago, people simply ate smaller meals. They did this without ever feeling deprived. 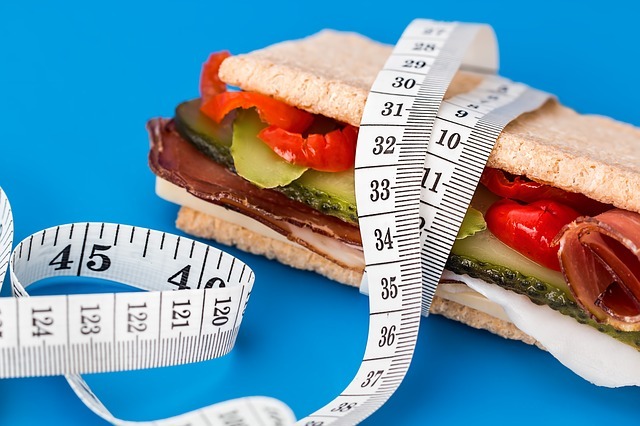 How come portions of the same size today tend to make people feel like they are starving? The answer is that it’s all in the mind. People today have somehow become accustomed to the thought that they need to eat large portions to feel filled. Fortunately, it’s easy to trick the mind into accepting small portions without protest. When you sit down to a meal at the table, do you keep the serving dishes within reach for easy access? This could be a mistake, according to studies. If the extra food never existed, they wouldn’t miss it. The mind just wants it when it can see it. If you want to eat less without missing the extra helpings, you need to either make less food or determine to not bring any serving dish anywhere near where you sit down to eat. The makers of processed foods like jams, beverages and snacks have long used an ingenious way to get people to buy more of their products – they sell them in bigger package sizes. The typical cheeseburger is near twice the size. These giant sizes seem normal to you now because it’s all you get to see. The larger the pack that you eat out of, the more you feel free to eat. If you wish to eat less without noticing it, you need to turn the snack food manufacturers’ upsizing trick on its head. You need to downsize all the spoons, dishes, plates, glasses and bowls in your home. 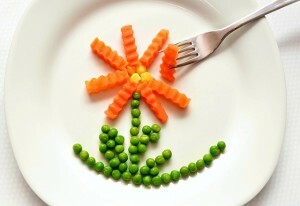 A small plate that’s full of food can psychologically make you want to eat less. Apparently, the mind keeps count of how much it’s eaten by counting the number of times you spoon food into your mouth, and by how full the plate before you seems. If you like the television turned on to a game or your smartphone turned on to an entertaining app while you eat your dinner, you should stop it all immediately. The less attention you pay your meal, the less your mind is able to keep track of how much you’ve eaten or how many spoons you’ve helped yourself to. Airplane food trays and packed lunches are usually tiny meals that feature tiny portions. Yet, to see five or six different kinds of food packed into one plate can make you feel satisfied with what you’re having. You can try this trick with the meals you eat at home, too. Before you sit at the table, you should neatly arrange different kinds of healthy food on your plate – the entrée, salad, a little portion of fruit, some ricer or spaghetti, and so on. You need to see several foods representing every food group all packed into your plate. You’ll walk away feeling much happier with your meal. You should consider leaving your plate and other remainders of each meal right there on the table for a good period of time. If you have the habit of clearing your table as soon as you finish your meal, your mind will find it easy to forget that you’ve ever had anything to eat. When you keep seeing all the signs of having finished a full meal, though, your mind will have fewer reasons to feel that you haven’t eaten properly. Alcohol has a way of loosening one’s inhibitions – your inhibitions about food, included. If you love a glass of wine with your food, it could be making you eat more.